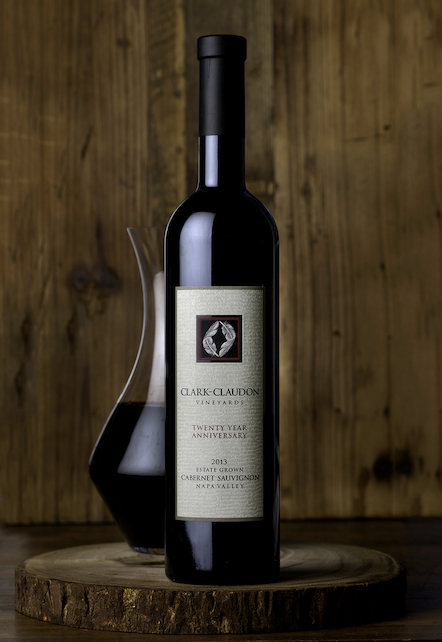 If scores are the measure, twenty vintages of 90 to 95+ Estate Cabernets can’t help but make us proud. Yet, these years of family and wonderfully loyal customers raises that bar. In 2013 Mother Nature gave us another perfect growing season. We couldn’t imagine that 2012 could be topped, and then it was! Some mistakenly think that such a season simplifies the work of the winemaker. Rather, it creates pressure to get it exactly right! I always refer to winemaking as a dance. With the 2013’s there was no stepping on toes. Rather, our winemaking team, Fred Delivert and Jean Hoefliger, executed the dance like the true artists that they are. Showing off its gorgeous fruit, the 2013 Estate presents with deep dark ruby hues and glistening garnet at the rim. Generous aromas of black cherry, boysenberry, fresh oak, beautiful cacao powder and cigar box carry through the velvety entrance & round mouthfeel. Lingering fresh acidity and dense firm tanins confirm the perfect balance of this wine, while layers of rich dark fruit and touches of strawberry assure a long delicious finish.